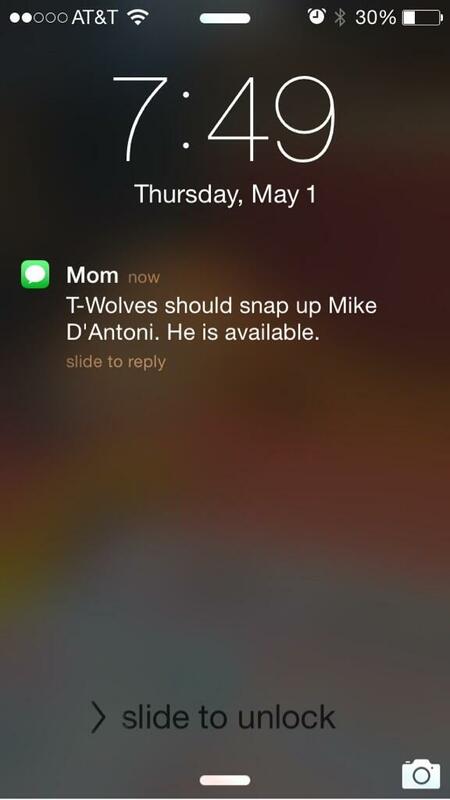 In this edition, we recover from Comcast-induced technical difficulties, discuss the pros and cons of some potential candidates for the Wolves’ head coaching position, and speculate that Andy G’s mom has a crush on Mike D’Antoni. Nick “Swaggy P” Young and Kendall Marshall will be in Minneapolis tonight to take on the Wolves. Look again, that IS NOT Steve Blake on the right. That’s the red hot Kendall Marshall, who’ll be manning the point for Los Angeles tonight in Minneapolis. That’s right – the Lakers are in Minneapolis to play the Timberwolves tonight. Tip is at 7 P.M. CST. Most of you can see the game on FSN. If you’re not local, you can see it on League Pass. If you prefer to listen, tune in to WCCO 830. A quick rundown of things to look for is below the fold.